Nintendo have shared further details regarding additional features to be available within the anticipated Pokémon Black Version 2 and Pokémon White Version 2. First up is Join Avenue, a new area that players can explore which is populated by any other players they have interacted with wirelessly through Tag Mode, trading or battling. Such players will then open several different types of shops on Join Avenue, each selling rare items that won’t be able to be found anywhere else in the game. Increasing the population will ensure you get the rarest items available. Next up is Memory Link, which will allow you to see what has happened to characters within the original Pokémon Black or White in the two years between it and the sequel. 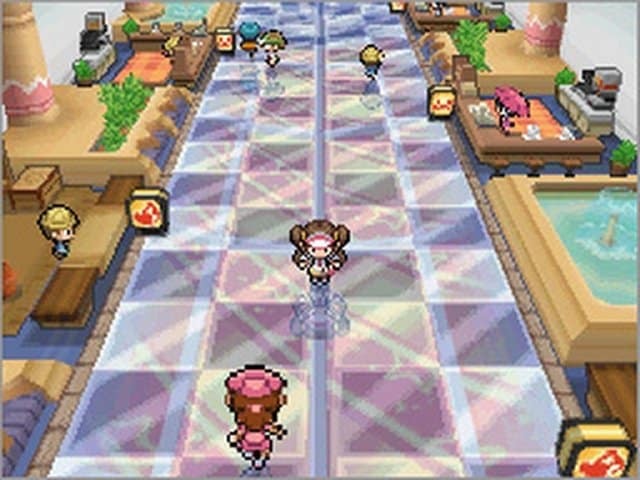 By connecting Pokémon Black Version 2 or Pokémon White Version 2 with a previously played Pokémon Black Version or Pokémon White Version game, you will encounter scenes dependent on how far you previously progressed. To use this the player will require two systems, either from the Nintendo DS or Nintendo 3DS family. Pokémon Black Version 2 and Pokémon White Version 2 will release across North America on October 7th, and Europe on October 12th.